We can offer hands to help and hearts to hasten Heavenly Father’s wonderful work. Dear sisters, how we love you! As we watched that beautiful video, did you see your own hand reaching out to help someone along that covenant path? 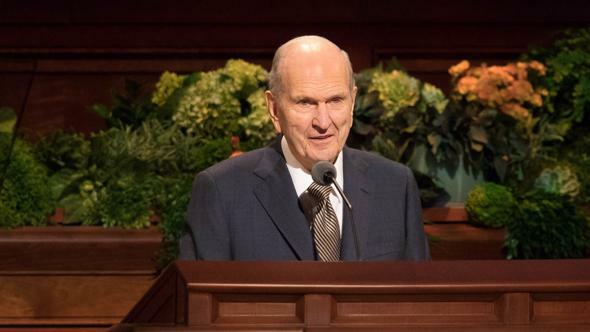 I was thinking about a young Primary girl named Brynn who has only one hand, and yet she uses that hand to reach out to bless her family and her friends—Latter-day Saints and those of other faiths. Isn’t she beautiful? And so are you! Sisters, we can offer hands to help and hearts to hasten Heavenly Father’s wonderful work. Just as our faithful sisters in the scriptures, such as Eve, Sarah, Mary, and many others, knew their identity and purpose, Brynn knows that she is a daughter of God.1 We too can know of our own divine heritage as beloved daughters of God and the vital work He has for us to do. 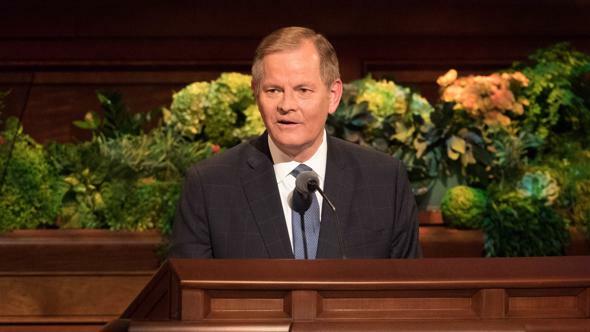 The Savior taught, “If any man will do his will, he shall know of the doctrine.”2 What do we need to know and do “to live with him someday”?3 We can learn from the story of the rich young man who asked Jesus what he needed to do in order to receive eternal life. The young man asked Him which ones he should keep. Jesus then reminded him of several of the Ten Commandments we are all familiar with. Jesus called him to become a part of His work—the work of a disciple. Our work is the same. We are to “lay aside the things of [the] world, … cleave unto [our] covenants,”5 and come unto Christ and follow Him. That’s what disciples do! Now, sisters, let’s not start beating ourselves up because the Savior spoke to the rich young man about becoming perfect. The word perfect in this account was translated from a Greek word that means “complete.” As we try our best to move forward along the covenant path, we become more complete and perfect in this life. Like the rich young man in Jesus’s day, sometimes we are tempted to give up or turn back because maybe we think we can’t do it alone. And we are right! We cannot do the difficult things we have been asked to do without help. 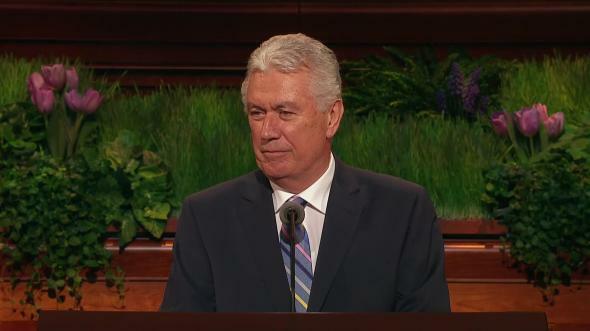 Help comes through the Atonement of Jesus Christ, the guidance of the Holy Ghost, and the helping hands of others. 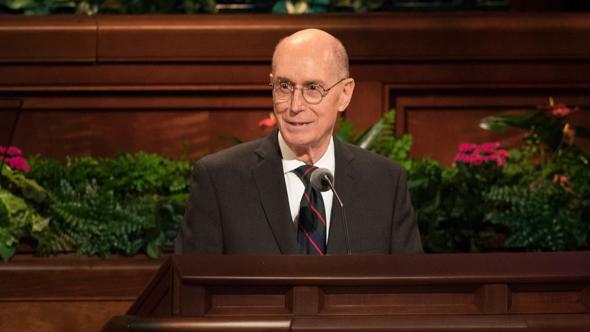 A faithful single sister recently testified that through the Atonement, she found strength to use her helping hands and willing heart to raise the four children her sister had left behind when she died of cancer. 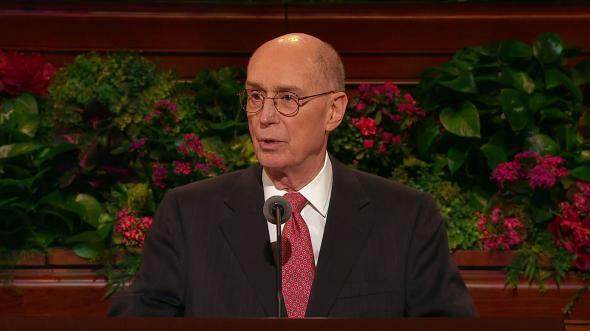 That reminded me of something Elder Neal A. Maxwell said: “All the easy things that the Church has had to do have been done. From now on, it’s high adventure, and followership is going to be tested in some interesting ways.”6 You have been sent to earth in this dispensation of time because of who you are and what you have been prepared to do! Regardless of what Satan would try to persuade us to think about who we are, our true identity is that of a disciple of Jesus Christ! I love the women of the Church, young and old. I have seen your strength. I have seen your faith. You have something to give and are willing to give it. You do this without fanfare or publicity, drawing attention to the God we worship, not yourselves, and with no thought of what you will receive.11 That’s what disciples do! I recently met a young woman in the Philippines whose family became less active in the Church when she was only 7 years old, leaving her alone to walk a dangerous road to church week after week. 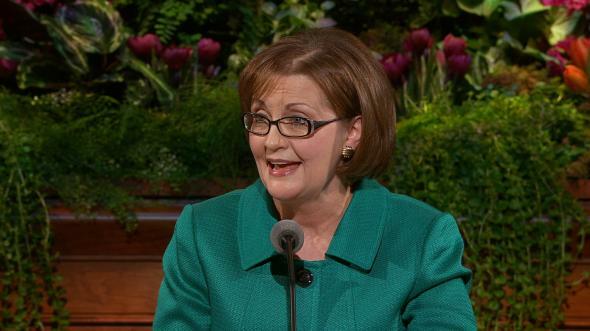 She told how at age 14 she decided that she would stay true to her covenants so she would be worthy to raise her future family in a home “blessed by the strength of priesthood pow’r.”12 The best way to strengthen a home, current or future, is to keep covenants, promises we’ve made to each other and to God. A faithful Japanese sister and her husband visited our mission in Korea. She didn’t speak Korean and was limited in her ability to speak English, but she had a willing heart to use her unique gifts and helping hands to do the Lord’s work. That’s what disciples do! She taught our missionaries how to do a simple piece of origami—a mouth that could open and shut. She then used the few English words she knew to teach the missionaries to “open their mouths” to share the gospel—a lesson they will never forget, nor will I.
Visualize for a minute you and me standing together with the other millions of sisters and brothers in His Church, going forth boldly, doing what disciples do—serving and loving like the Savior. What does it mean to you to be a disciple of Jesus Christ? We are cov’nant [daughters] with a gift to give. As true disciples, may we offer our willing hearts and our helping hands to hasten His work. It does not matter if, like Brynn, we have only one hand. It does not matter if we are not yet perfect and complete. We are devoted disciples who reach out and help each other along the way. Our sisterhood reaches across the generations to those faithful sisters who have walked before. Together, as sisters and in unity with living prophets, seers, and revelators with restored priesthood keys, we can walk as one, as disciples, as servants with willing hearts and hands to hasten the work of salvation. As we do so, we will become like the Savior. I so testify in the name of Jesus Christ, amen. “I Am a Child of God,” Hymns, no. 301; or Children’s Songbook, 2–3. 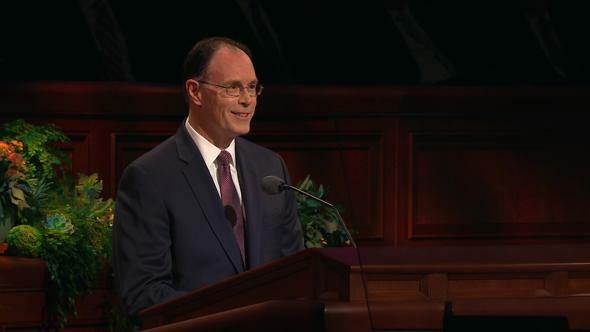 Doctrine and Covenants 25:10, 13. Neal A. Maxwell, “The Old Testament: Relevancy within Antiquity” (address to Church Educational System religious educators, Aug. 16, 1979), 4; si.lds.org. In Boyd K. Packer, “The Circle of Sisters,” Ensign, Nov. 1980, 111. M. Russell Ballard, “Women of Righteousness,” Ensign, Apr. 2002, 70; Liahona, Dec. 2002, 39. “Holding Hands around the World,” Friend, July 2002, 44–45; Liahona, Oct. 2003, F12–13.